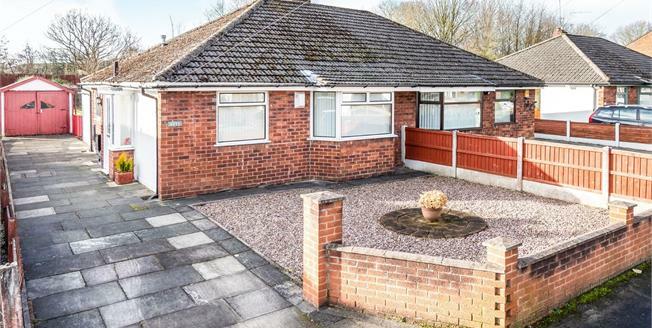 This impressive 'true' bungalow offered with no onward chain is located on an impressive plot on this popular road of Severn Road and it is highly anticipated to sell quickly so would encourage early viewing to avoid missing out. The conservatory extension has been an addition to the property and makes the perfect room to enjoy the sun. A fitted kitchen certainly wont disappoint any buyer with a comprehensive range of units. The two double bedrooms boast a clean finish throughout and are all generous in size and both provide plenty of built in wardrobe space, complemented with a large bathroom located off the central hallway with a white suite. The formal living room is positioned to the rear and enjoys views over the stunning landscaped garden. The rear garden is of a generous size and must be seen to appreciate the privacy it offers at the rear with views over fields. There is plenty off-road parking to the front with driveway and access to the detached garage.